Surf News Network, 28 May, 2015 . Los Angeles, California – Makua Rothman is longing for a coveted Teen Choice Surfboard Award as Fox has opened up requests for nominees in various categories, including Choice Male Athlete. The first step is getting Rothman nominated in the category. Rothman, secured the Big Wave WSL 2014/2015 Tour World Championship based on points earned during the Big Wave Tour, winning by more than 7,000 points. To open the 2015 surfing season, Rothman won the Quiksilver Ceremonial in pumping surf at Punta de Lobos, Chile on May 1. The 30-year-old Rothman began surfing at the age of two and still holds the title as the youngest to catch the biggest wave ever ridden in the world, when he rode a 66-foot wave at the age of 18 in 2002. 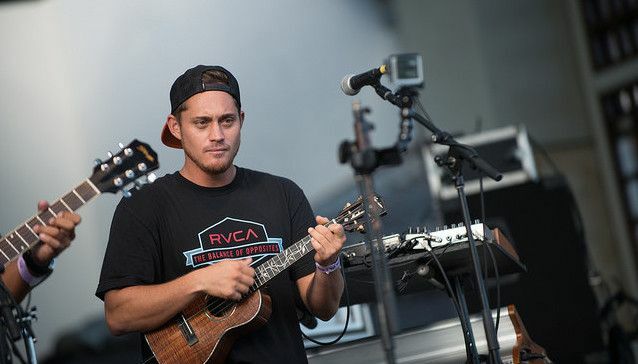 The surfer turned singer-songwriter has also been touring in support of his debut album “Sound Wave,” a laid-back, pop-inflected reggae-rock grouping of songs paying homage to his heritage. Rothman is also an actor and in May 2015, Warner Brothers announced Rothman was featured in their latest fast-paced, high-adrenaline action thriller “Point Break,” where Rothman performed surfing stunts showcasing the most daring athleticism ever seen in a motion picture.